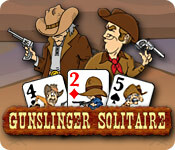 Gunslinger Solitaire is rated 3.1 out of 5 by 7. Rated 5 out of 5 by joeinpa from Music sets the tone. 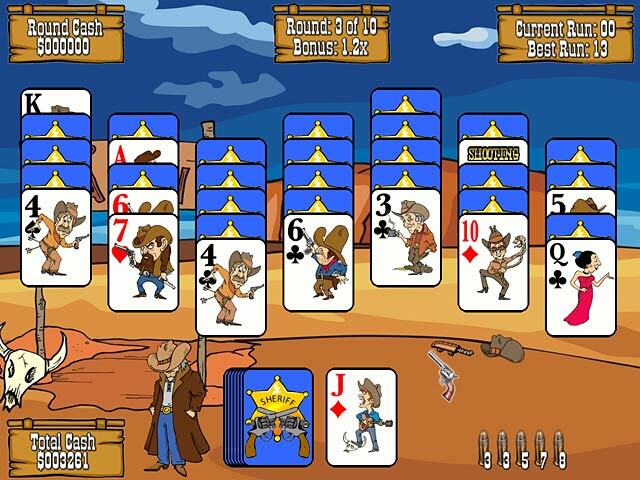 Kicking awesome As a music therapist, I enjoy matching music with games or with videos, and the music for this genre and style was right on the money. I felt like the music alone took me to a nice restful place. We used to live in Colorado, and are now in the east. The music took me back to Colorado while the game continued to entertain. 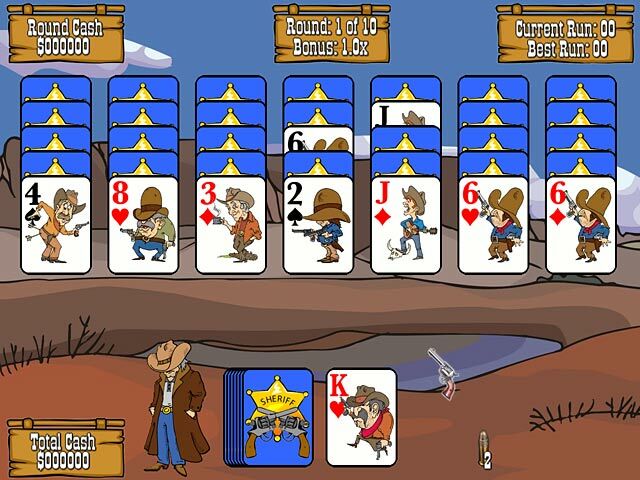 Rated 4 out of 5 by Dee2001 from Card tricks of the Ol' West It is not the high-tech games that we are constantly exposed to; however the programmer did a fair job in keeping us entertained. I recommend anyone to give it a try! Rated 1 out of 5 by acmephot from Don't buy it. Don't buy it. This card game was nothing I wanted. 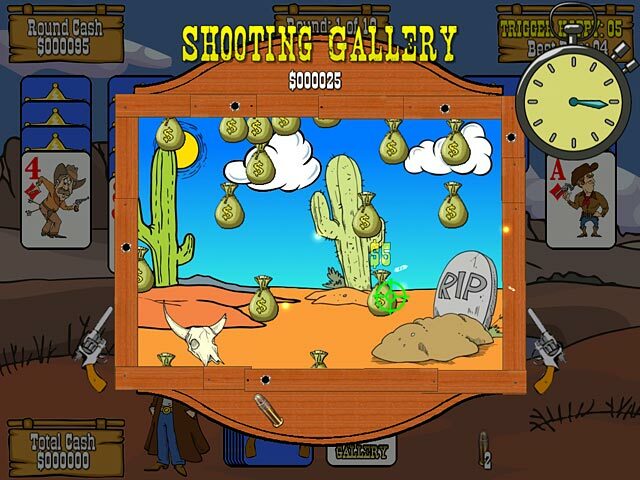 Rated 1 out of 5 by azenalyn from BORING GAME AND MUSIC Corny-lots of yahoos & yehaws. Music annoying. Sound effects monotonous. Don't waste your money fishies. Deleted after 15 min.